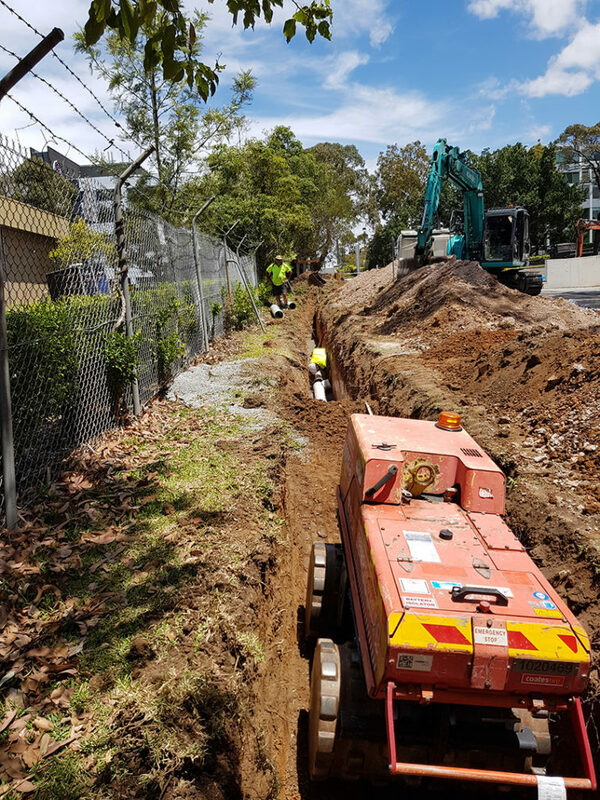 Sydney Water stormwater construction works. 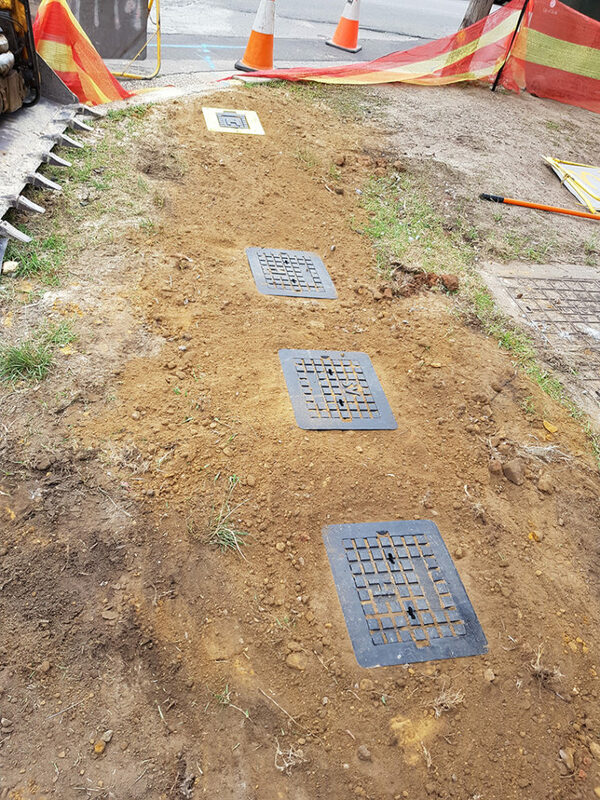 Temporary restoration of disturbed roads and footpaths surfaces (hot mix/cold mix). 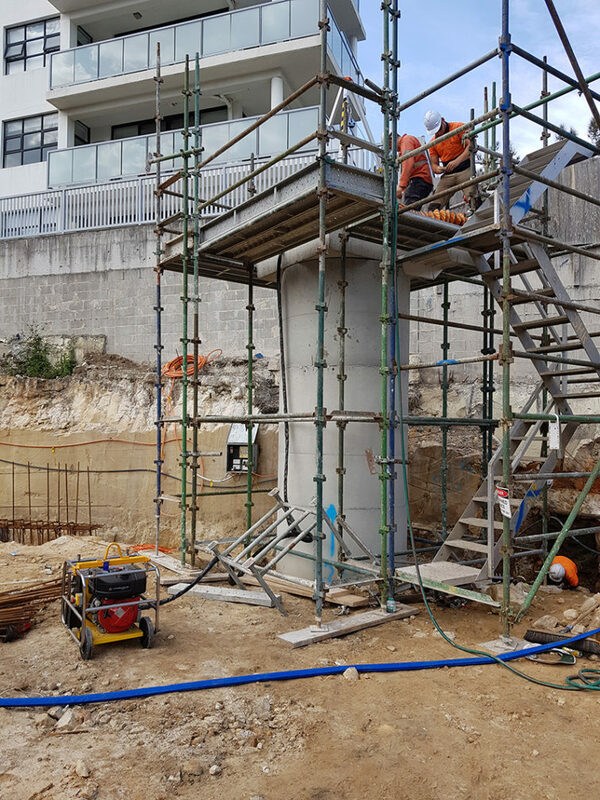 All excess spoil can be removed after encasements or other Sydney Water Major Works or Minor Works if requested. 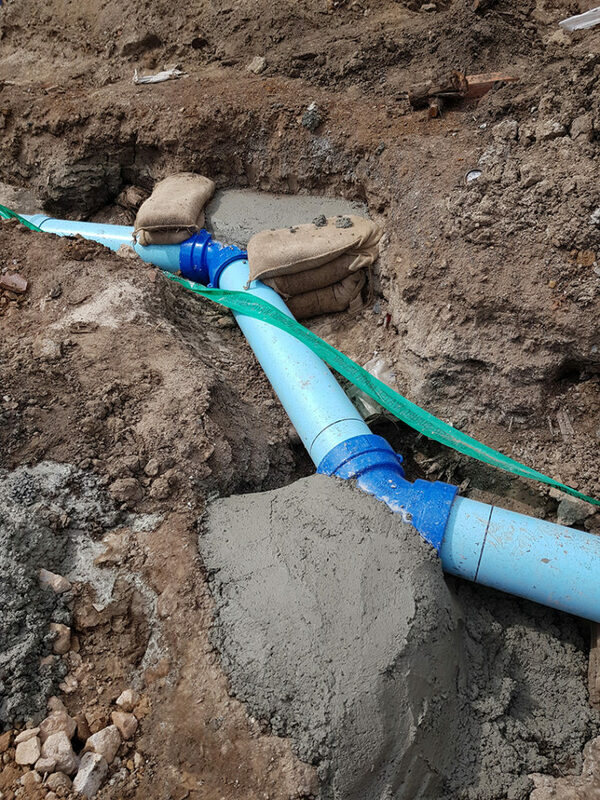 Watermain construction in busy site. 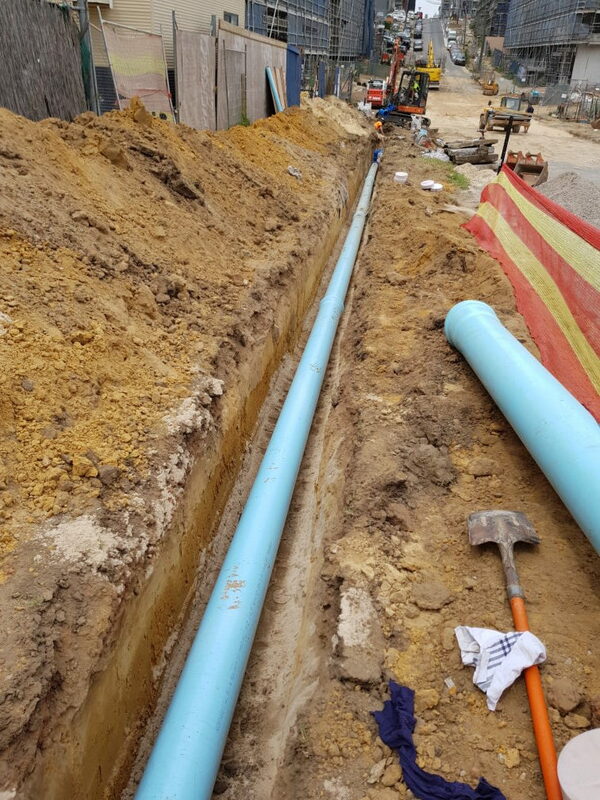 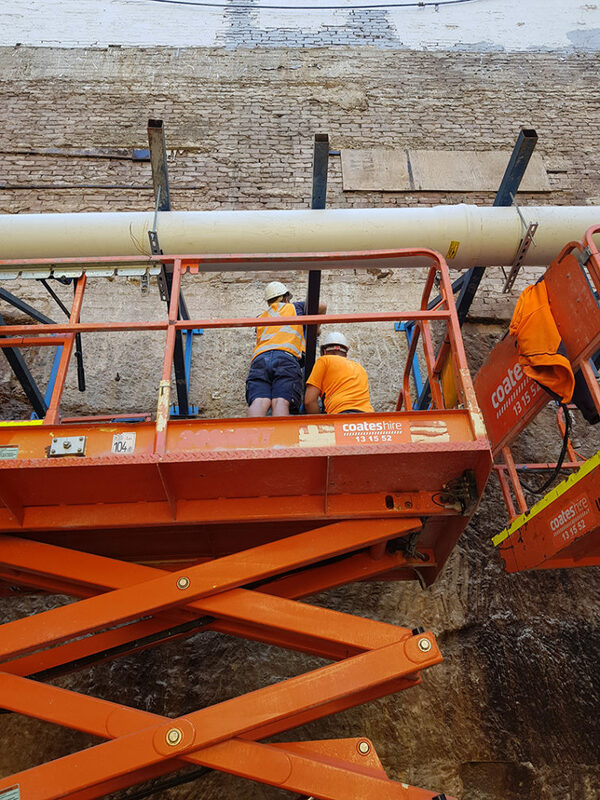 Ausflow’s project managers handle co activity and complex Sydney Water infrastructure construction projects. 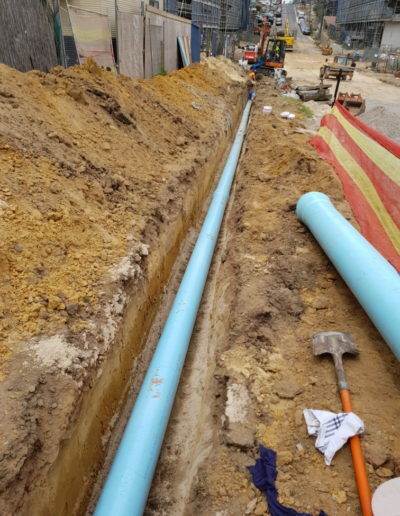 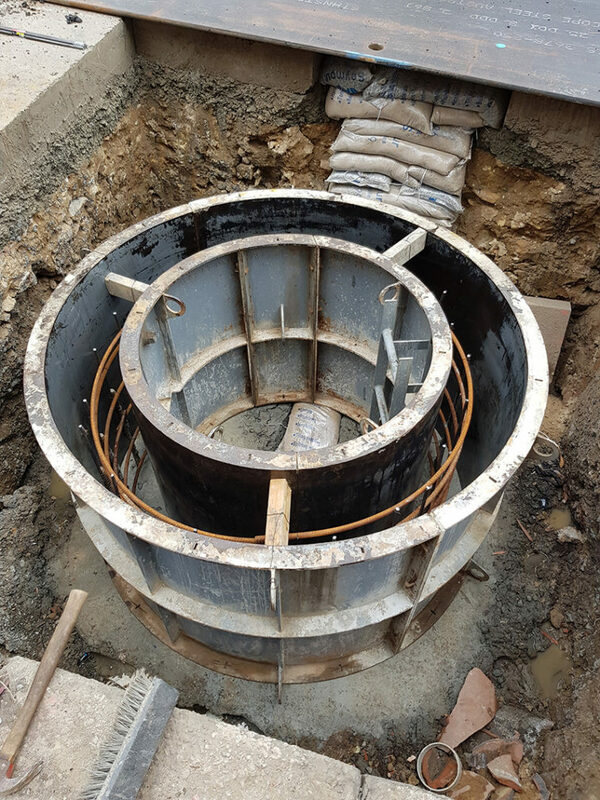 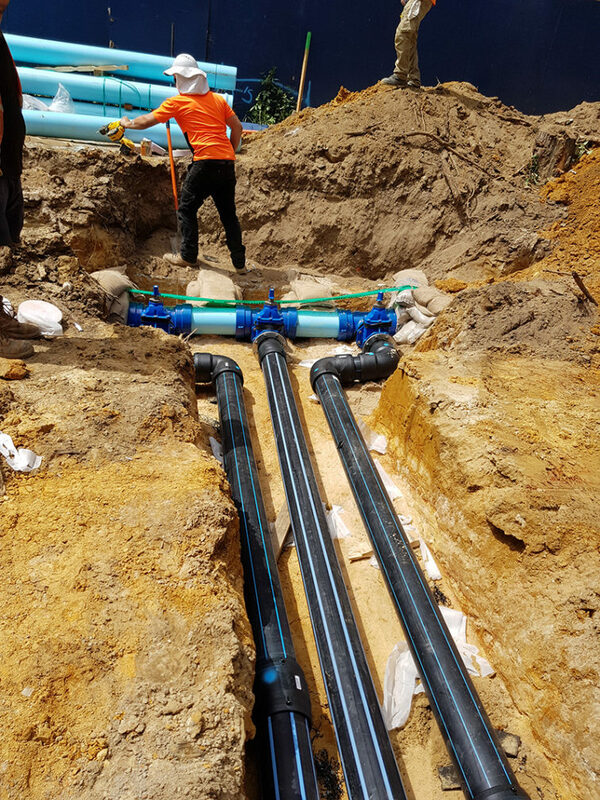 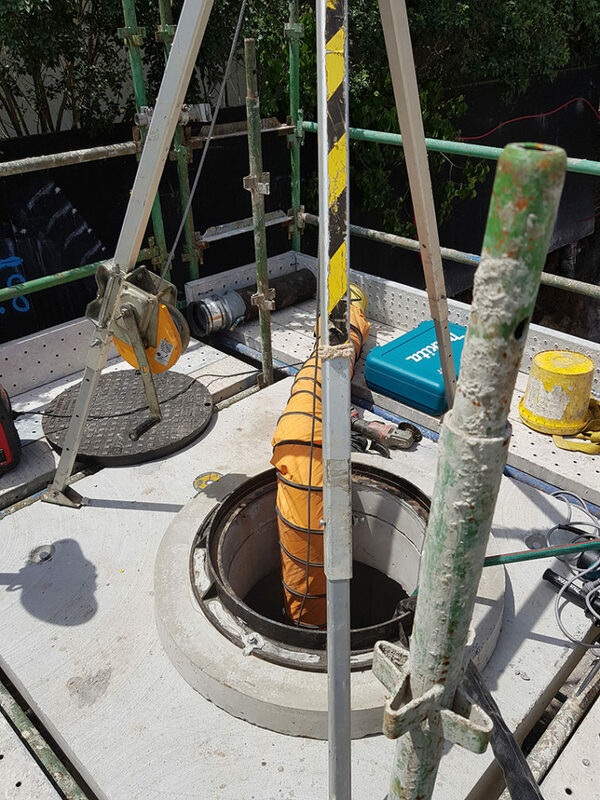 Ausflow can provide and install brackets for Sydney Water sewer assets relocated through basements. 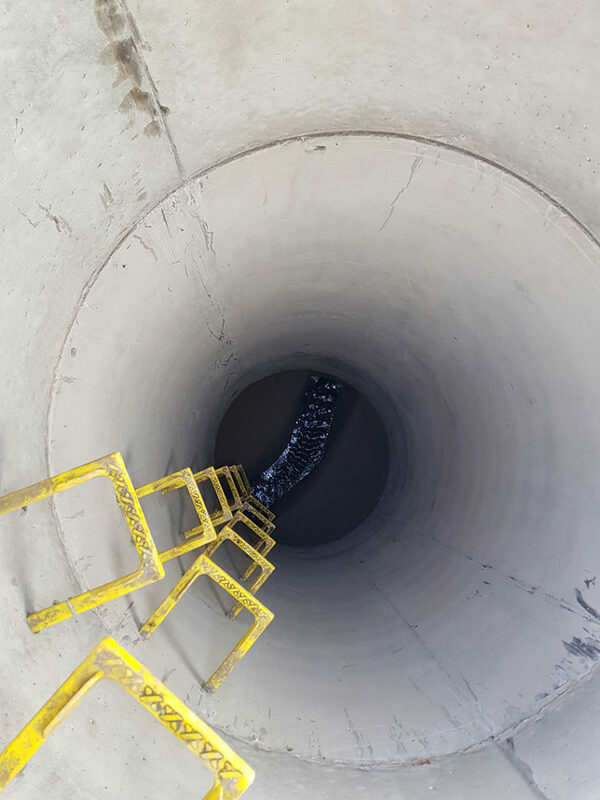 As per or WH&S external audits, we have all required safety equipment.